Your job descriptions don’t have to be boring, text-based pages that reek of the days of dial-up phones and fax machines. Here are a handful of easy ways to spruce up your job descriptions to attract the very best talent. Adding a map to your job description can be super-effective and easy (leverage Google’s Maps API) and helps the candidate picture where they’ll be working. Is the office in the heart of the city or on the outskirts? Maps on your job descriptions will also help with engagement and time on page because the candidate doesn’t need to leave your job page to research location or Google maps. You can easily let a candidate join your talent community with a click of the button by including a social sign-in (LinkedIn or Facebook are the top 2 choices). 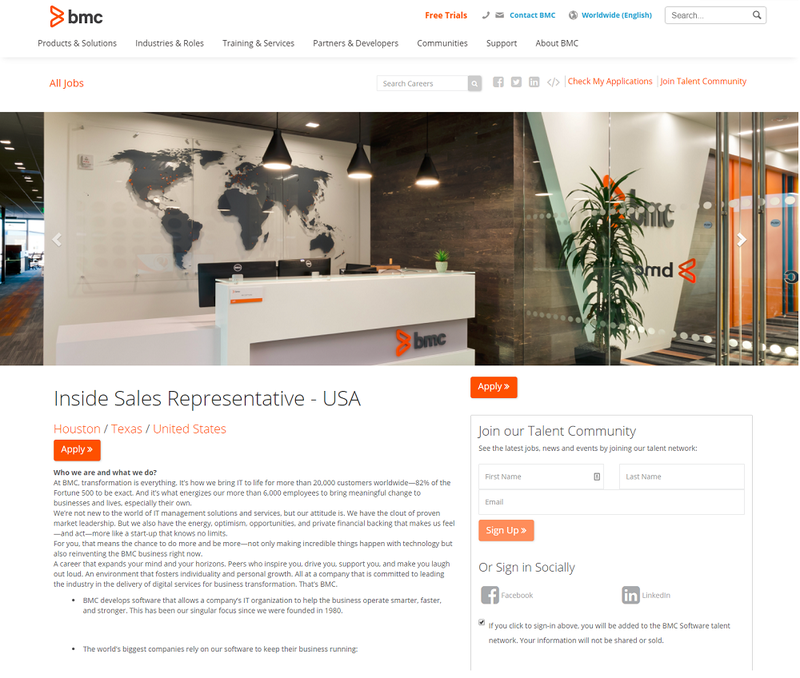 You just need to leverage those social networks’ APIs like BMC Software did below. 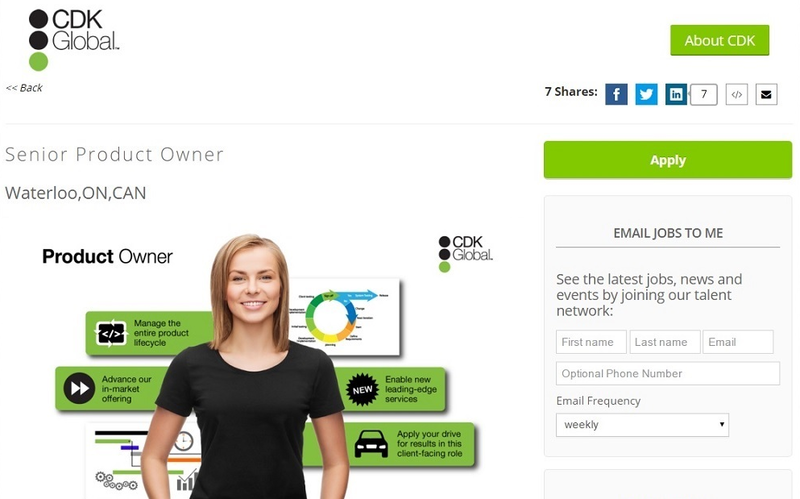 Creating a single click sign-in ha shown to improve conversion rates. Yes it’s that easy. Candidates expect interactivity on web pages so why should your job description be any different. 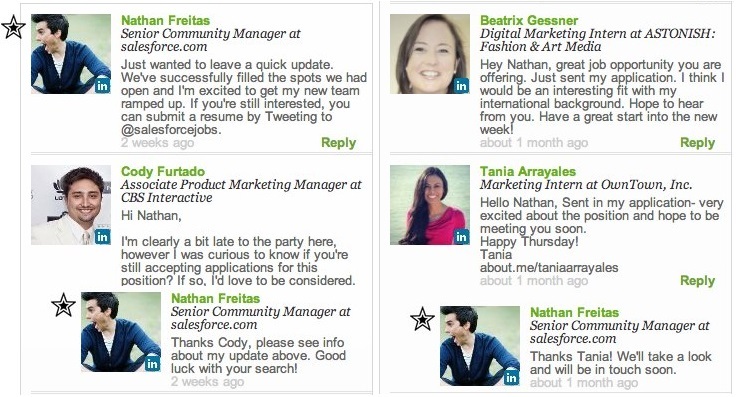 You can allow candidates to comment or chat with you through a number of ways including leveraging LinkedIn’s API like Salesforce.com has done in the past on their job descriptions. You might recall our article on How To Eliminate A Negative Candidate Experience On Your Job Descriptions where we emphasized how candidates said the top reason job postings negatively impacted the application experience was that the employer provided no salary information. That’s one reason you should consider embedding Glassdoor ratings, reviews and salaries directly on your job descriptions. Wouldn’t you rather have the candidate see your Glassdoor ratings on your own page rather than visit Glassdoor where they’ll see your competitors? Most Web pages “the kids” look at these days includes video — so why not add video to your job description. You can embed a general video about your company or get more specific about the team, location or even, in some cases, do a video about the specific job. 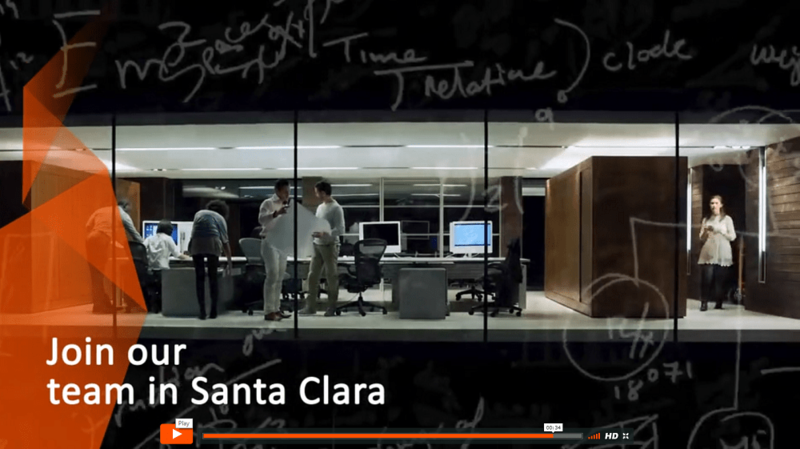 Video has shown to improve time on page on Ongig job descriptions. If video is too progressive for you, at least try some images. 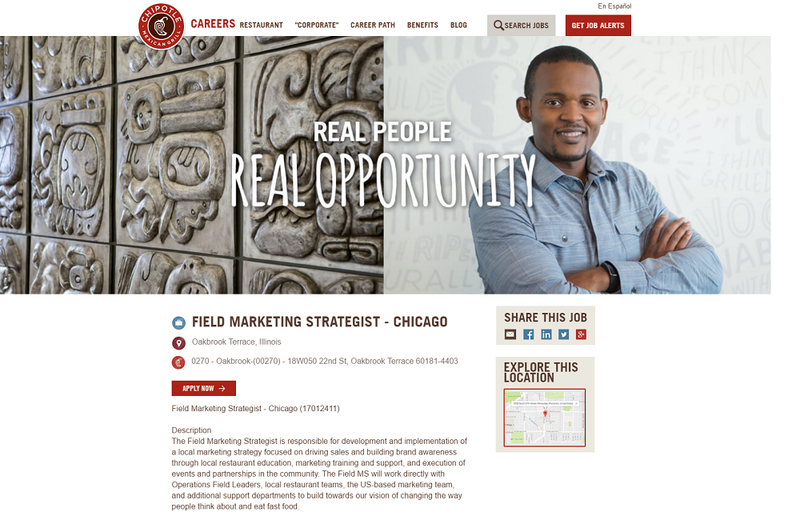 Check out what ADP spin-off CDK Global did by including an infographic-type image on their job descriptions with a picture of the ideal candidate along with some bullets on the job. Imagine, as a job seeker, you have gone through 15-20 text-only, non-engaging, cookie cutter job descriptions and then you come across this one from CDK. 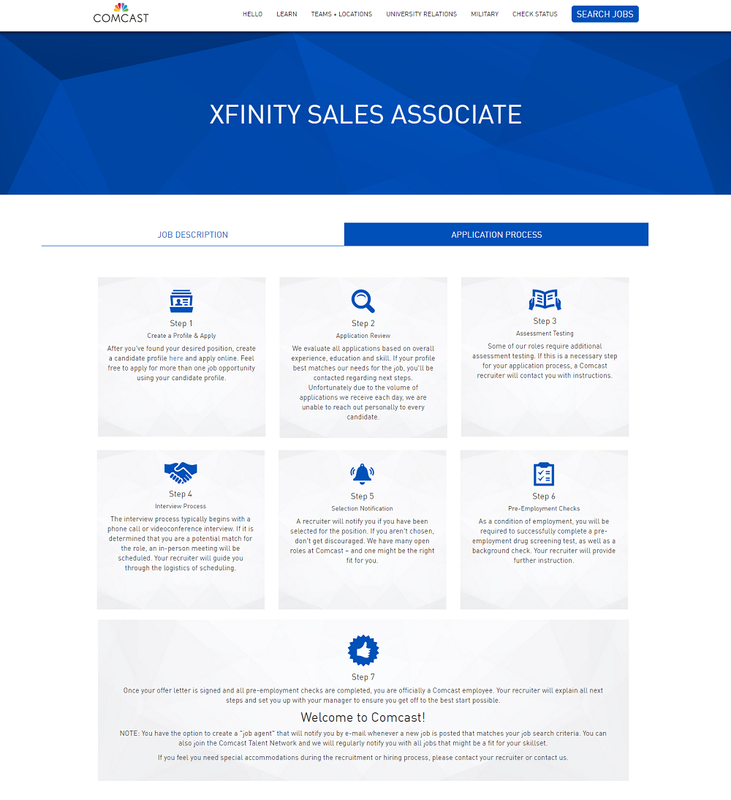 Which company would you want to apply for? You might be tired of hearing it, but it’s still true — millennials and other young candidates (as well as quality older candidates) care about your purpose (i.e. mission). 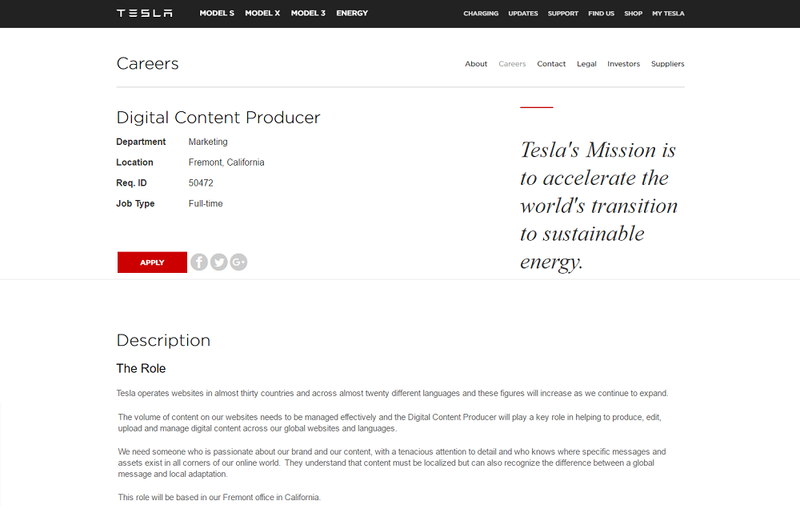 Take a page from Tesla’s playbook and include your mission statement on every job description. Placement and text size of the mission are also significant, notice Tesla’s mission is one of the first couple items you see above the fold. This let’s you the candidate understand how important their mission is to them. Perhaps you need to up the quality of your candidates. 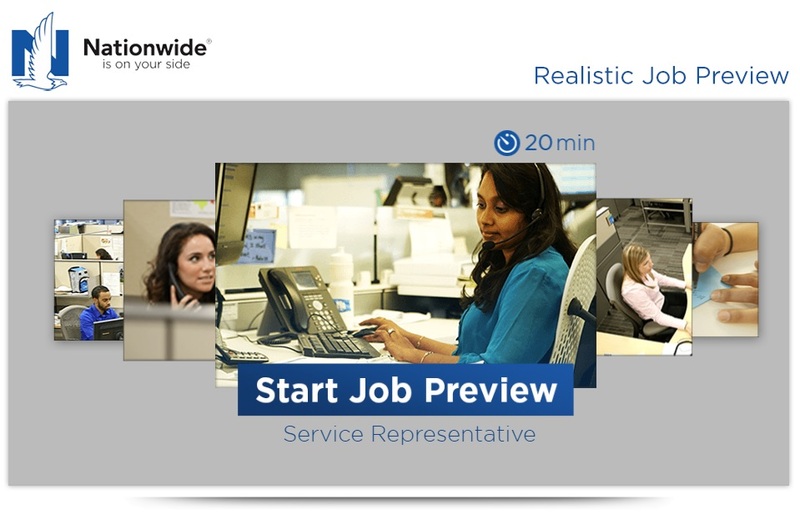 Nationwide asks its customer service/call center applicants to walk through a 20 minute question and answer session online to help weed out candidates who are not right for the job. This also lets you know how interested or engaged a candidate is. For the candidate to invest 20 minutes or more on any single job, you know they’re engaged and really want the job, regardless of the score/result. About 89% of applicants look at a job description and then leave. 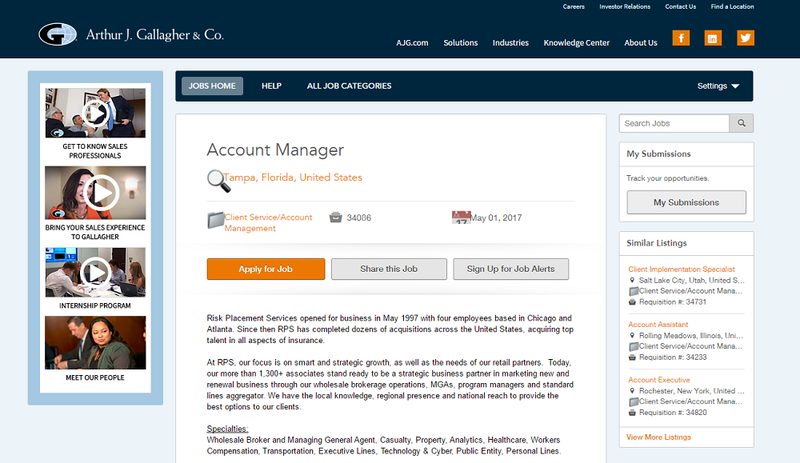 If that’s your case, then why not list some “similar job openings” (as Arthur J Gallagher does below in their right-hand rail). Candidates want to know what they’re in for when applying to work for you. How about you just tell them (like Comcast does below with their 6-step application process). 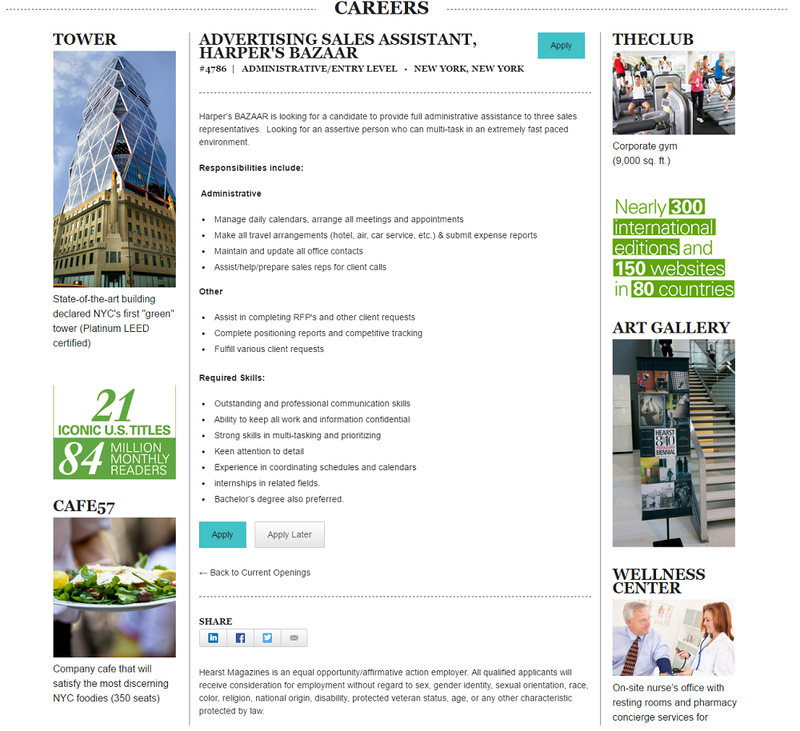 Hearst has 2 great side rails on the left and right side of the job ad that showcase perks of working at Hearst including their 9,000 sq. ft. corporate gym, company cafe, wellness center, and some other fun facts. The visuals and different color text make these perks very hard to miss. If you value creative ideas for your job descriptions, just give us a holler to brainstorm. The Ongig Cloud allows you to add many of these in a pretty automated fashion.